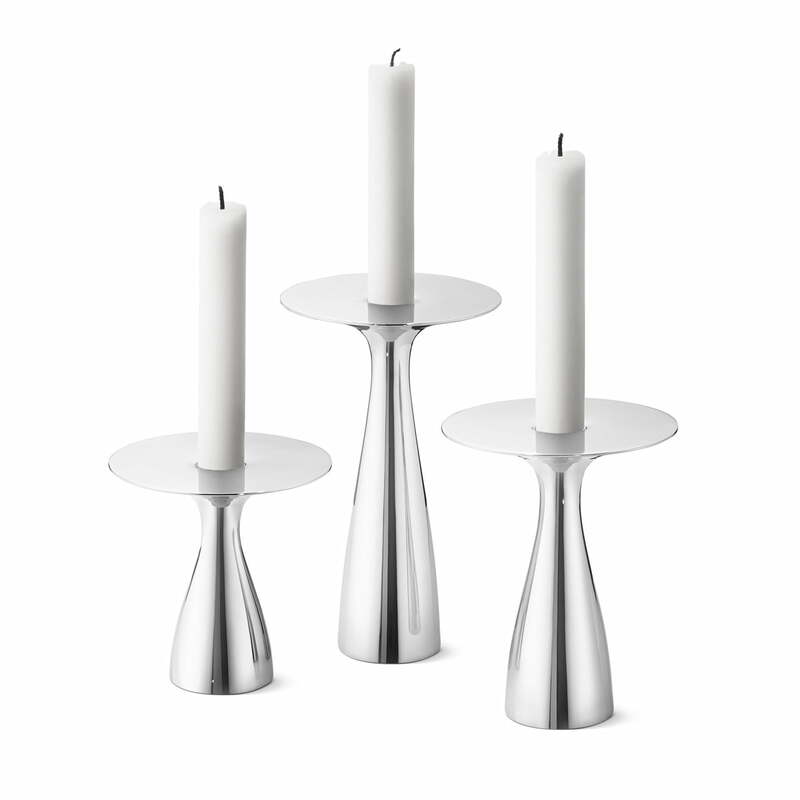 The Alfredo candleholder by Georg Jensen was designed by Alfredo Häberli and belongs to the elegant Alfredo series, consisting of everyday objects in an elegant style. The candleholders are a stylish addition to the series and provide atmospheric candlelight on rainy autumn days or on mild summer nights. The candleholders are made of highly polished stainless steel. Its curved base merges into a wide, shiny top that reflects the light of the candle in a beautiful way. The wide top also ensures that no wax drips from the candles onto the sensitive table surface or tablecloth. Available in different sizes, the Alfredo candleholder is an eye-catcher both alone and in a group. All three sizes are also available in a decorative set of 3. The candleholders are made of highly polished stainless steel. Its curved base merges into a wide, shiny top that reflects the light of the candle in a beautiful way. 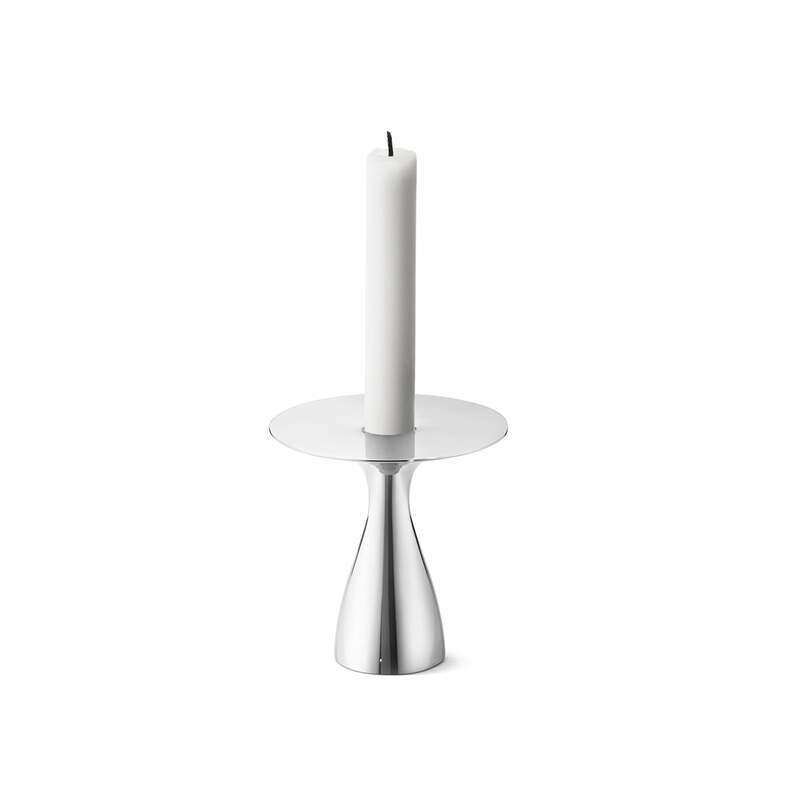 The Alfredo candleholder by Georg Jensen was designed by Alfredo Häberli and belongs to the elegant Alfredo series, consisting of everyday objects in an elegant style.